Replenishing the pages in your FASHION + HOME specifier book has never been easier. Whether it's replacing your most frequently used pages or just keeping your book up to date, now you can purchase your replacements pages online. 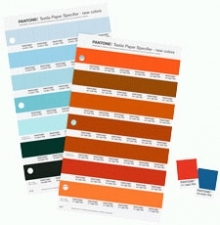 Individual pages containing seven PANTONE Colors with six tear-out chips of each color for easy removal. Please note: new colors replacement pages will include the letter “N” before the page number.